Islam Around Us: 6 killed as bombs hit Egyptian security HQ in Rafah. 6 killed as bombs hit Egyptian security HQ in Rafah. 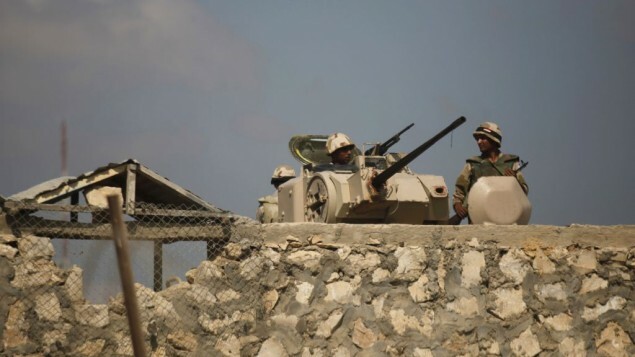 EL-ARISH | Egypt | AP | 11 Sep 2013 :: A pair of suicide bombers rammed their explosives-laden cars into military targets in Egypt’s volatile Sinai on Wednesday, killing at least six soldiers and wounding 17 people, security officials and a military spokesman said. One of the two bombings in the town of Rafah brought down a two-story building housing the local branch of military intelligence, while the other struck an army checkpoint.The near-simultaneous attacks nudged the violence in the strategic Sinai Peninsula closer to a full-blown insurgency, compounding Egypt’s woes at a time when the country is struggling to regain political stability and economic viability more than two years since longtime autocrat Hosni Mubarak was toppled in a popular uprising. The attacks also came less than a week after a suicide car bombing targeted the convoy of Egypt’s interior minister, who is in charge of the police, shortly after he left his home in an eastern Cairo district. Mohammed Ibrahim, the minister, escaped unharmed, but the blast caused extensive damage in the area. An al-Qaida-inspired group based in Sinai claimed responsibility for that bombing. Wednesday’s attack on the intelligence building in Rafah collapsed the entire structure and buried an unspecified number of troops under the rubble, two security officials said, speaking on condition of anonymity because they were not authorized to talk to the media.